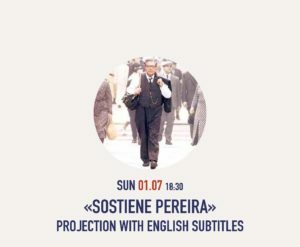 We will project Roberto Faenza’s « Sostiene Pereira », based on the book by Antonio Tabucchi, with Marcello Mastroianni, Daniel Auteuil and Stefano Dionisi. Music by Ennio Morricone. Drinks and snacks will be available ! Article suivant Sarau n#4 – Bring poetry you love or write !